The list of the Saints, Blessed's, Venerable's and Servants of God that were devoted to Saint Gemma continues to grow. In another article entitled "St Maximilian Kolbe and St Padre Pio -Admirers of St Gemma" I listed what 5 Popes, 2 Saints, 2 Venerables and 1 Blessed have said in admiration of Saint Gemma. And this article below will add another extraordinary person to the growing list of admirers of St Gemma. Father Ruggero (Roger) M. Caputo was born in the city of Barletta Puglia, Italy on May 1st, 1907. The Caputo's were a humble peasant family of sound moral and religious principles. During his childhood and early adolescence, he was blessed to become under the wise guidance of the Servant of God Archbishop Angelo Raffaele Dimiccoli (1887-1956), a very devout and pious Bishop. The Bishops holy example aroused in Ruggero a strong desire to follow of Christ, and at age 19 he felt within his soul a call to the priesthood, so he abandoned his farmwork in the fields and entered the Seminary of Bisceglie to devote himself entirely to the service of the Lord's vineyard. 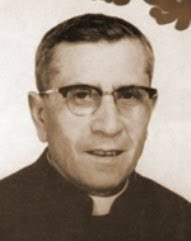 He was ordained a Diocesan Priest in the Cathedral of Barletta on July 25, 1937, and it was here in Baletta where Father Caputo began his fruitful ministry as an assistant pastor in different parishes of the city. He was always very simple and humble, and throughout his earthly existence he was never ambitious to achieve high office; his aspiration was to spread solid devotion and love for God and the conversion of souls. During his lifetime his fervent love for God and souls fostered at least a dozen vocations to the priesthood, and over 150 women religious vocations. During his lifetime he organised several lay apostolates that were very popular with adolescents and young adults. It is said that the secret of his apostolic success in vocations was his daily devotion and time spent before the Blessed Sacrament in Eucharistic adoration, along with celebrating very devoutly the Holy Sacrifice of the Mass. "Father Ruggero was a soul in love of the Blessed Sacrament" - said one of his spiritual daughters who became a nun. "When one of us girls needed his help, we went to the Church to always find him on his knees on the ground in front of the Blessed Sacrament, absorbed in deep, quiet conversation with Jesus in the Eucharist. It was Here that he found the strength and the devotion that he gave us. 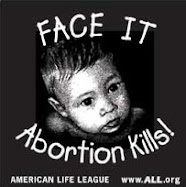 This is what he put into our veins- to be all for Jesus." Father Ruggero taught them to love God with all their hearts and souls--"The young are not attached to me" he would say "I place them at the feet of Jesus." It is said that you can learn alot about a person from whom he or she admires. A persons heroes say alot about the person. 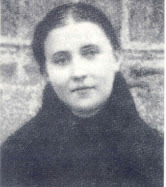 Concerning Father Ruggero's great devotion to St Gemma, the website of the Postulator for Ruggero's cause for Canonisation states- "From the earliest years of his youth he was strongly attracted to St. Gemma Galgani, especially since he began to mature in the vocation to the priesthood. When he entered the Seminary at age 19 and throughout the many years of hid training period, he constantly read the biography and writings of the Holy Mystic of Lucca, and he liked to recall that 'photo of her that I always beheld' which he kept on his desk, as related in his personal notes." Soon, there were many "miracles of grace" as he called them, that he willingly attributed to the intercession of St Gemma. After his ordination in 1937, the Lord called him forward more and more clearly to a mission for individuals which he called "Apostles of consecrated virginity". Eventually under his holy leadership and example, there were more than a dozen priestly vocations, and more than one hundred and fifty women religious- all of whom consecrated their virginity in the world for the sake of Jesus and His holy Gospel. 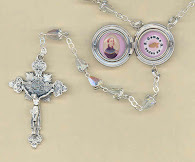 And all of them modeled themselves after the example of the life of St. Gemma, with whom he had shared as an example of fervent love for Jesus in the Most Holy Eucharist and in His Passion. During a visit to the spa at Montecatini Terme, Father Ruggero reached the Tuscan town of Lucca, Gemma's hometown, and driven by the desire to pray at the mortal remains of his patroness and devoted heavenly friend, to entrust to her personal care and intentions the perseverance of his "little flock". Don Ruggero Caputo the farmer boy had now become a "farmer of lilies" in the apotolate that was entrusted to him. Despite the abundant fruits of his priestly ministry which were in full view of everyone, he was sorely tried by humiliation and misunderstanding. Amongst some of his confreres he was snubbed by the epithet "u zappaturìcch" or "zappare la terra" which means "soil tiller", which pointed to his origins as a former farmer, good, according to some, only to dig the earth. But he did not lose spirit because he had not only worn the clothes of a Priest, but he also possessed the soul of a priest. So he continued until the end spending all of his energy to till the land for the building of the Kingdom of God on earth, and for the growth and defense of the flock entrusted to him, following in the footsteps of Gemma- the beloved stigmatised saint of Lucca. Surely he took comfort too in knowing that during her life Gemma too had been ridiculed by others for her "excessive piety and devotion", that her sister and her friends had a pastime of going to see and ridicule Gemma while in ecstasy, or when the boys along the streets of Lucca spit in her face and teased her for her plain woolen black dress and mantle which she wore everyday. Or when at her brothers wedding the bride told her to "go home and not come back", once again because of her black dress and mantle. In fact, a good number of the people of Lucca thought Gemma was a "scemetta", that is, that she was mentally ill. It is the price that those pay who want to follow Jesus with no half measures. Perhaps through jealousy or other motives, he was moved about by his diocesan superiors from Parish to Parish, hoping perhaps to thwart the flow of young people who were attracted to his extraordinary example of piety and devotion. 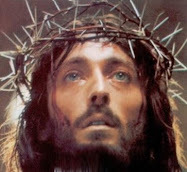 And so left alone in spiritual combat just like "the poor Gemma", the "poor priest" humbled himself in prayer, ready to share with the Divine Spouse the abandonment of Gethsemane, and the bitter loneliness of condemnation and crucifixion. At the height of the dark night of the spirit from August 18-27, 1952 he he stopped in Vico Equense at the religious house of the Jesuits for a course of Spiritual Exercises. "My God, how sad"- he wrote in his notes - "I am overwhelmed by all of this; the prayer that comforts me most is the one that You made for me on the cross: "My God, my God, why has forsaken me?". Because I feel the Your abandonment, my Jesus, and it weighs upon me oh so very much!" "At this time I am tempted against mercy, against faith and against the Apostolate. [...] Darkness is upon the present and future; the future crushes me. I have spent almost two months under the weight of an almost constant state of sadness and pain of mind, and my body is slumped more and more under the pressure of painful events: A group of Sisters [to whom he was their Chaplain] almost had me and my spiritual children kicked out of the Parish; we are denied of even praying in the chapel, and I am abandoned by my superiors. Suffering in this manner, I have repeatedly called to mind and remembered the abandonment of Jesus in Gethsemani". Even the last months of his life were marked by the test of suffering, going through a painful illness in the spirit of offering. 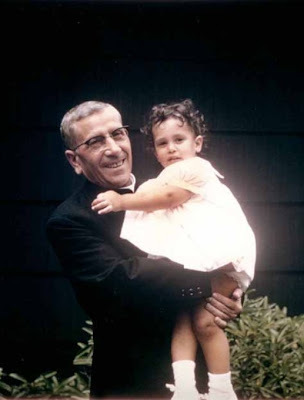 To a spiritual daughter who came to the hospital to visit him, Don Ruggero Caputo said, "Now I have to do my part, for as St. Paul says: "In my flesh I complete what is lacking in the sufferings of Christ for the sake of His Body, the Church". 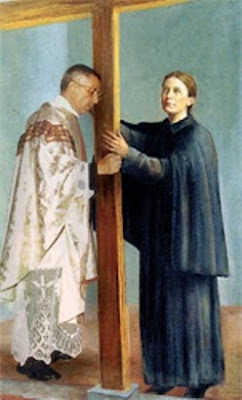 His sacrifice was complete on the evening of June 15, 1980, when he flew into the loving embrace of God, there with his heavenly friend Gemma to behold and adore the face of God for all eternity. Since then the witness of his life here has begun to shine forth in all its glory, coming out of silence and concealment like the life of Gemma, to be a witness and an example of virtue and devotion for all of us to follow. -Servant of God Ruggero Caputo, pray for us! A very interesting article. Thank you so much for posting these articles. Without you, we would probably never know about so many of these wonderful holy men and women! Thanks for your kind comments. I am really glad to hear that you appreciated the article. I am frequently coming across more and more Saints, Blesseds etc. who were admirers of St Gemma, so I have been trying to add them to this website, since they were (and are) friends of Gemma. Thanks again Father. Please bless my family and I and all who visit this website.